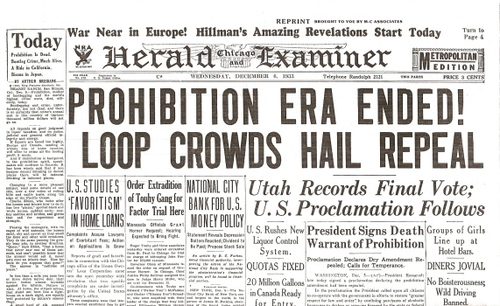 Today we celebrate the 80th anniversary of the end of Prohibition. On such a hallowed day, take a moment to responsibly savor one of our favorite legally-protected rights. …and celebrate one of our favorite pieces of legally-protected beer marketing, courtesy of Dan Fox.